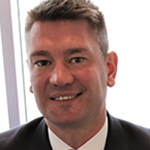 Scott Dodsworth, who was head of strategic planning at British defense giant BAE Systems, has joined Hill+Knowlton Strategies as PA chief in the UK. He will focus on the defense, energy and industrial sectors. At BAE, Dodsworth served as chief of staff to the CEO and director of parliamentary relations. He also played a key role in cementing the $25B frigate deal with Australia. Prior to BAE, Dodsworth spent six years as senior political advisor at FleishmanHillard. Simon Whitehead, H+K UK CEO, expects Dodsworth also will counsel clients in the firm’s EMEA region and global network.